View of Glenmore reservoir from recumbent trike ride – amazing. Okay – saw this video while googling the reservoir. Looks like fun. Do you think the dog is having a good time or wants to jump? I now want one of these trike things… F & I could get up to a lot of shenanigans! 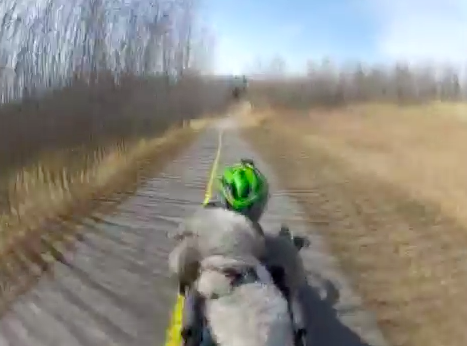 This entry was posted in Uncategorized and tagged glenmore reservoir, recumbent trike, youtube. Bookmark the permalink.